Have you heard us on iHeartRADIO? If case you missed us, you can listen below and hear about what Doug Pike is saying about Kurk Homes on the Doug Pike Show. Also, you can stream the show at SportsTalk790 and on the free iHeartRadio app. 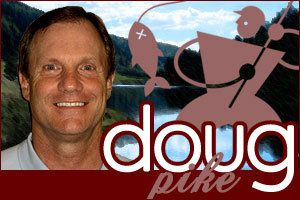 You can hear his show LIVE on iHeart Radio, by searching for The Doug Pike Show. You can also find the show on iTunes - The Doug Pike Show by SportsTalk 790 (KBME-AM). If you want to see more of our videos, you can follow us on YouTube. The only Southern Living Custom Builder to have a 20-year structural warranty, Kurk Homes designs and builds custom dream homes to a higher standard. Kurk Homes offers 2 x 6 exterior walls and multiple meticulous third-party inspections from pre-foundation placement to the final T.R.E.C. and Guardian Home certification. A full set of custom home plans are free when you build with Kurk Homes. We want to build your vision of a home, and we can assist in that design with our amazing residential and interior design team — as well as sourcing from the world-renowned Southern Living Plans selection! Kurk Homes is a third-generation, full-service, custom-build-on-your-lot company that has been designing and building custom dream homes for nearly 30 years. Join our family of happy homeowners that appreciate our dedication to our clients before, during and after the build. Our industry-leading warranty program ensures you and your family are living in a quality custom home. 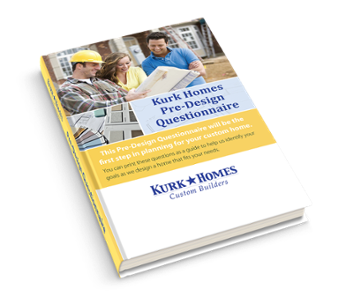 If you are interested in building a custom home, please download our Pre-Design Questionnaire as the first step in planning for your home. To learn more about Kurk Homes, please visit www.kurkhomes.com or call us at (281) 356-3314.